After 108 years of "toiling down here", Mrs. Ethel B. Ford, a faithful servant of our Lord and Savior, was called to eternal rest Tuesday evening, November 7, 2017, as she rested peacefully at the Southern Springs Healthcare Center, Union Springs, Alabama. "The Lord is my shephard, I shall not want.....And I will dwell in the House of the Lord forever." Sister Ethel was born August 10, 1909 in Armstrong/Macon County, Alabama to the late Will Cole and Mattie Thrasher Cole. A Celebration of the life and legacy of Sister Ethel B. Ford will be held from the sanctuary of Elizabeth Baptist Church,13895 US Highway 29 South, Fort Davis, Alabama Saturday, November 18, 2017, at 1:00 pm. Rev. Carson, Pastor, will officiate. Burial will be at the Elizabeth Baptist Church Cemetery. Mrs. Ford will lie in repose one hour prior to funeral services. The family will receive visitors at Poe's Memory Chapel Funeral Home Friday, November 16, 2017 from 1:00 pm until 6:00 pm. All funeral arrangements have been entrusted to the caring staff of Poe's Memory Chapel Funeral Home. 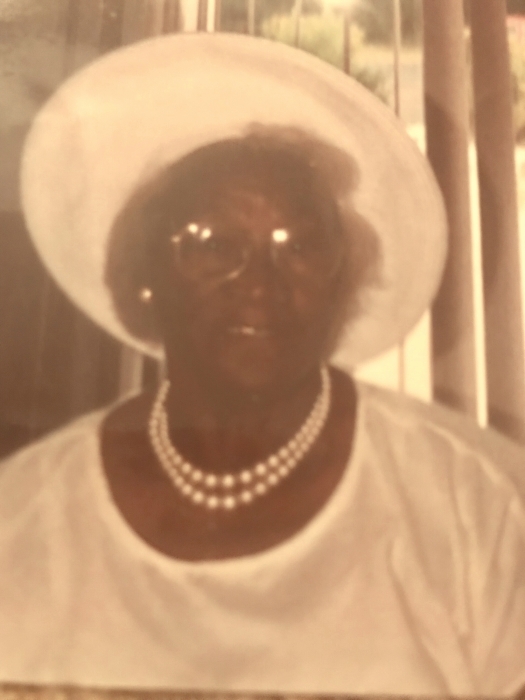 The staff of Poe's Memory Chapel Funeral Home is honored to serve the family of Sister Ethel B. Ford and our deepest and heartfelt sympathy is extended to the family; may God continue to Bless and strengthen you is our sincere prayer.